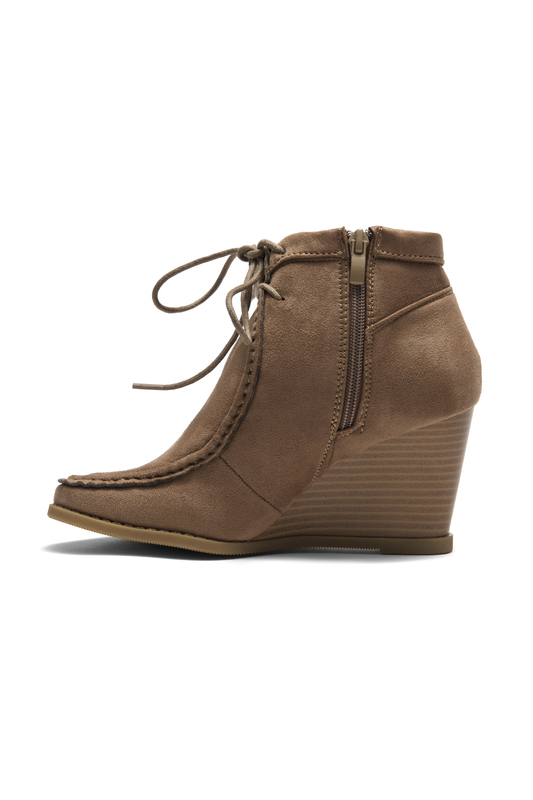 Eaddy a classic chukka boot gets a bold new profile atop a towering stacked wedge heel. 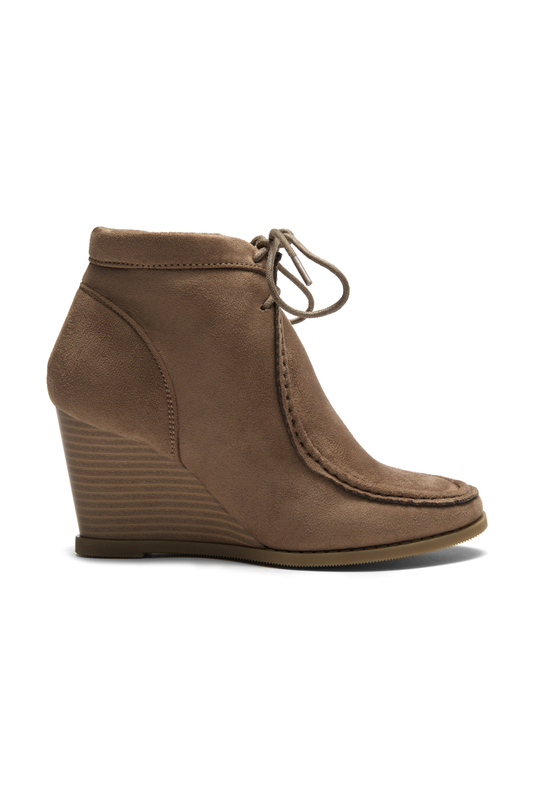 Moc toe detailing and open lacing at the topline, cushioned insole for comfort . 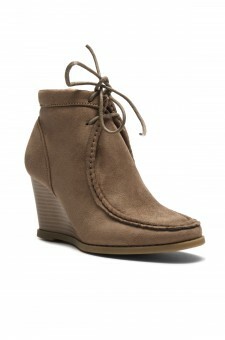 Available in Black, Khaki, Olive, Burgundy. These were great for the price! And they fit as expected. I normally wear a size 7 and a half in flats. However, it heels i wear 8. These booties fit exactly as stated. in other words, a size 8 is a size 8. 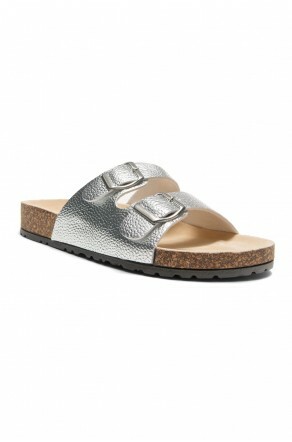 They are very comfortable, durable and stylish! I love its khaki color. very versatile to every outfit i have. thumbs up shoelans! 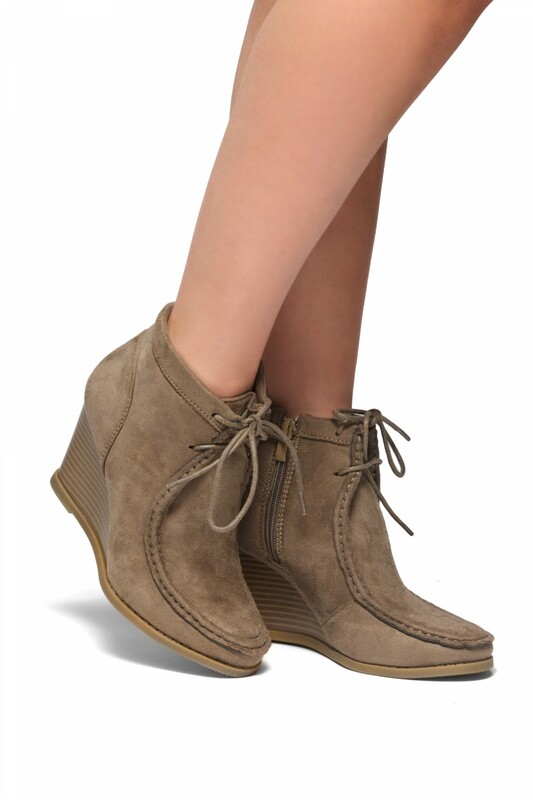 I can’t get enough of these wedge boots. Aren’t they just fabulous ladies? Come on that attention to detail on the boots, it’s like they have read our minds… don’t you think. Such a bold and edgy design that would make any outfit look fantastic. Plus, didn’t I mention that these are wonderful boots! Enough said.